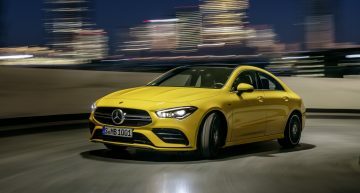 The fourth generation of the Mercedes-Benz A-Class is a completely brand-new car, built on a new platform, with a new electronic architecture and a classy interior like no other in the premium compact segment. First impressions from Split, Croatia. 20 years have passed last year from the launch of the Mercedes-Benz A-Class very first generation. After two generations of models with an unconventional sandwich-type body structure, Mercedes decided, in 2012, to tackle the VW Golf reference with a model based on a classic platform. 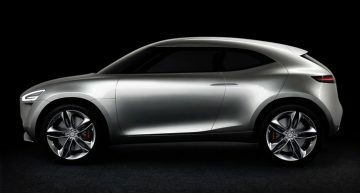 Designated MFA, standing for Mercedes Front Antrieb Platform (front-wheel drive Mercedes platform), this architecture supported all Mercedes compact models from B-Class to CLA, GLA and CLA Shooting Brake. 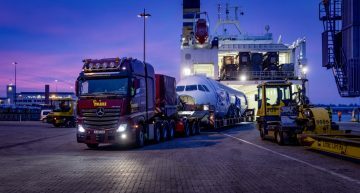 If back in 2012, the Mercedes-Benz A-Class was launched second, following the B-Class arrived in 2011, now Mercedes opens the ball of the new second compact generation with the A-Class. 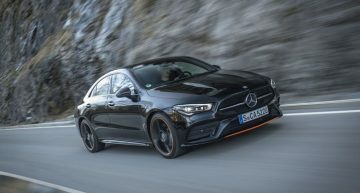 Seven other models will follow the A-Class: the future CLA, CLA Shooting Brake, GLA, B-Class, but also three new models – a sedan for China, a seven-seats SUV called GLB and a cabriolet. 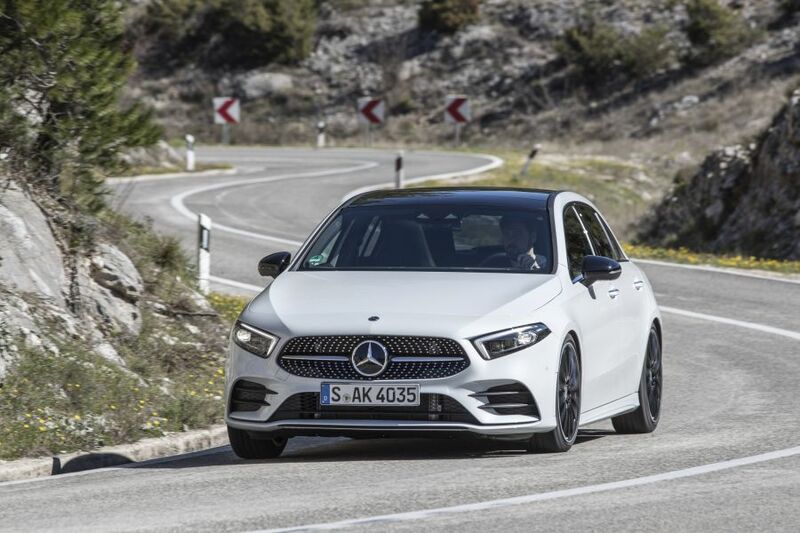 The fourth generation of the A-Class (W177) is raised on the new MFA2 platform, which translates firstly into a higher body rigidity, a weight loss, better aerodynamics and a lower noise level. 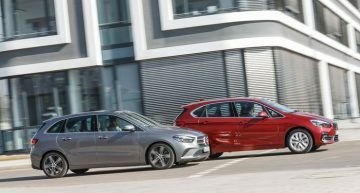 At 4.42 meters in length, the new Mercedes-Benz A-Class is 14 cm longer than the VW Golf II and 64 cm longer than the first A-Class generation from 1997. The car is bigger in every direction and this positively reverberated into the interior. The 2,729 mm wheelbase is 30 mm longer, the shoulder space was raised by 9/22 mm front/rear, the elbow space greu by 35/36 mm front/rear and the interior hegiht by 7, 8 mm respectively at the front and rear. When you sit on the rear bench, you realize you significantly get more shoulder-, head- and knee-room and this is obvious even without checking the specs. Besides, the claustrophia of the previous generation is gone and we take Mercedes’ word on reducing the dead angles by 12%, from 97.2 to 86.73 degrees. From the first photos, the instrument cluster with its two screens seemed pretty high and massive, but in reality, the driver gets a very good visibility at the front, since the pillars are thiner and the dashboard line is relatively low. The visibility significantly grew at three quarters of the rear. 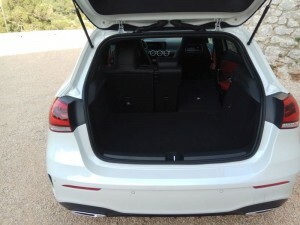 And the boot volume went slightly up from 341 to 370 liters, a figure comparable with the 380 liters provided by the VW Golf. 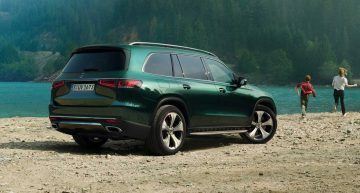 Beyond the 29-liter booth growth, access is also better, as the taillights are now made up of two pieces, so the boot opening is wider by 200 mm, the length of the boot floor is 115 mm bigher and the width of the boot grew by 225 mm. By folding the the rear seats with a 40/60% split for the standard variants and 40/20/40% split for the equipment lines, you get a perfectly plain, very practical surface. We drove, among others, an A 200 AMG Line. 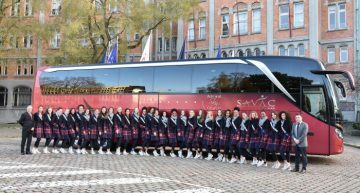 There are three equipment lines available: Style (1,213.80 Euros), Progressive (1,600.55 Euros) and AMG Line (3,510.30 Euros). 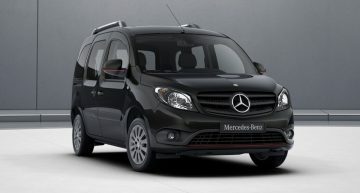 As for the other Mercedes models, for the first year since its launch, the Edition 1 is also availble. 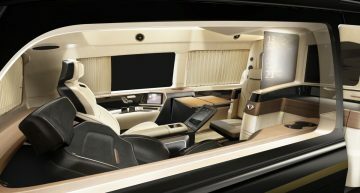 The interior is simply fabulous for this segment and not only. 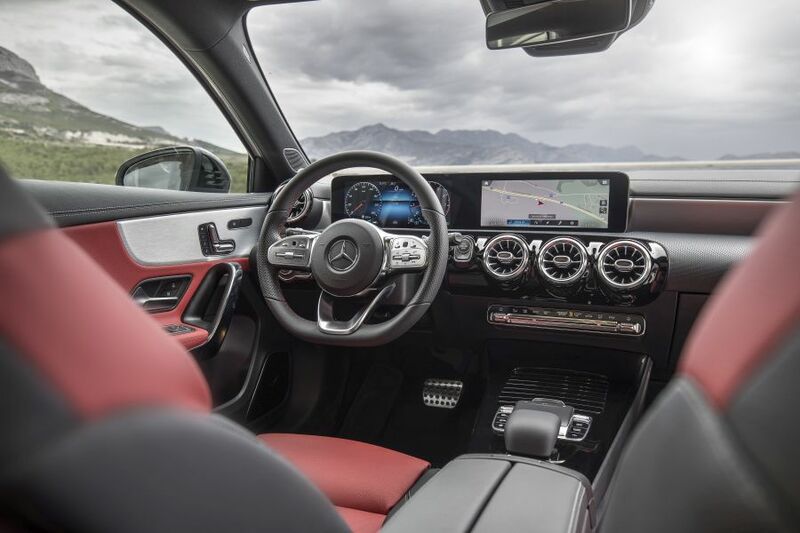 We bring into discussion the material quality, but also the new ergonomics supplied by the new MBUX (Mercedes-Benz User Experience) infotainment system. The steering wheel with the touchpad-type controls is taken from the S-Class and the extra wide two-screen concept is borrowed from the S-, the E-Class and the CLS. For the A, the Connect 20 infotainment system comes as standard, with two 7-inch displays – one for the instrument cluster and another one for the multimedia. The optional system can be upgraded with hard disk navigation combined with the two 7-inch displays (1,366.50 Euros) or with two 10.25-inch diplays and hard disk navigation (premium navigation package 3,016.65 Euros), as it was in the test cars. VR navigation (297.50 euro) can also be ordered optionally to display traffic signs and lights. Just like in the E-Class, the left mini touchpad on the steering wheel operates the virtual instrument cluster that can be displayed in three differend layouts – Classic, Sport and Understated. Additionally, each of these layouts features five different display themes, which show various types of data, including a navigation map mode on the entire screen. The system promptly responds and theoretically, you can command by voice a navigation destination, but for the moment, it doesn’t quite understand the destinations from all over the world. But the navigation operation is intuitive and suggestive. In complicated crossroads, an additional blue arrow overlaps the driving direction, so that you never have any doubts which way to go. Everything perfect? Not quite, because when the map is displayed on the screen, the climate control temperature indicators overlap the map and the pictogram with the air flow is very small. Not only the infotainment system is brand-new, but controls are as well. The electric park brake is at the left of the steering wheel, next to the lighting control, the automatic gear box lever, located on the steering wheel at the right, is now thinner and finer. The two-tone leather upholstery in red/black (included in the AMG Leather package for 1,368.50 Euros) wrapping the standardly fit sport seats of the AMG Line with integrated headrests, perfectly matches the AMG spirit and ideally conforms with the chrome inserts of the mid-dashboard area and in the doors. The soft perforated plastic and the air vents, which are inspired from the turbine blades, complete a quality, elegance and refinement level never seen before in this segment. The new Mercedes-Benz A-Class sports an interior that captivates more than any other rival. Even though the VW Golf and the BMW 1 Series feature high-tech and high-quality interiors, that of the A-Class seems one era ahead, considering that wow factor, doubled by high-quality and hugely progressing ergonomics. 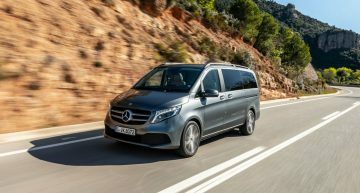 Considering the assistance systems, the Mercedes-Benz A-Class is way above its rivals, for Mercedes transferred all the asistance systems from the luxury segment S-Class into the compact class. The most important of them all is the Active Distance Assist Distronic, which includes the Active Steering Assist and operates between 0 and 210 km/h. 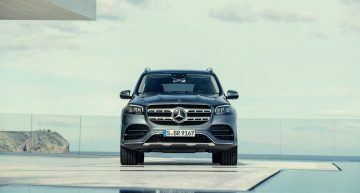 It is a system similar to the Volvo’s Pilot Assist, just that for the Mercedes, the steering features a finer and more linear response than the Volvo in the automatic mode. When coming near to the road edge line, the Mercedes system finely corrects the steering to keep the car on the lane. If the driver takes his hands off the steering wheel, the system provides warnings to put them back and, if you fail to do it, it starts to slow down in a few tenths of seconds and then it automatically comes to a standstill turning on the hazard lights. The assistance package also includes the Evasive Steering Assist function (it operates betwen 20 and 70 km/h), the Active Blind Spot assist, the Traffic Sign Assist, the Active Lane Change Assist (operating betwen 80 and 180 km/h) and the Active Lane Keeping Assist (active between 60 and 200 km/h). The latter though has a slightly brutal reaction if the driver goes over the continous white line, the ESP system reacting quite abruptly. Maybe Mercedes considered safety first above anything else. Also a premiere for the compact class, the Mercedes-Benz A-Class comes with a laser head-up display like those of the upper classes, projecting the data on the windshield, obviously better than the one displaying the information on a plastic surface, like in the compact range of BMW. 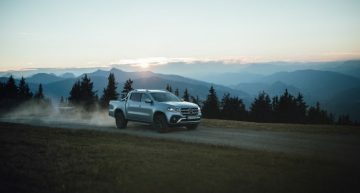 The AMG Line comes with a lowered comfort suspension (there is also a comfort one with a 15-mm higher ground clearance) and 18-inch alloys (the test car featured the optional 19-inch wheels and adaptive suspension). 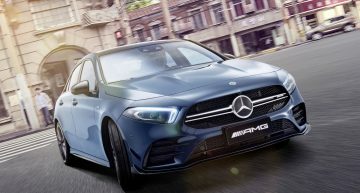 There are three types of suspension available: the standard comfort one, the comfort one lowered by 15 mm (standard for the AMG Line, 345.10 Euros for the other variants) and the adaptive AMG Ride Control (1.178.10 Euros) exclusively available with four link rear axle. 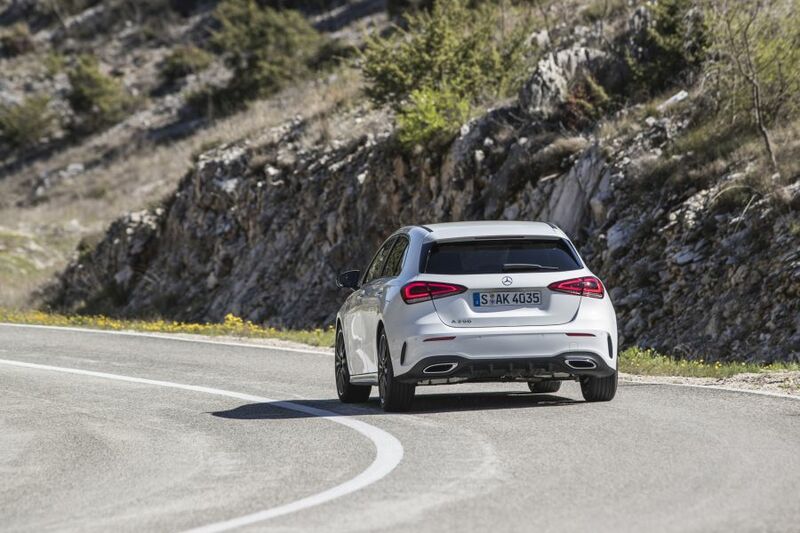 The new Mercedes-Benz A-Class features two types of rear axles: the semi-rigid for the base variant with front-wheel drive, with wheels up to 17 inches and without the adaptive suspension. When wheels above 18 inches, adaptive suspension, 4Matic all-wheel drive or bigger engines, the rear axle is a mulltilink 4-link axle. The front axle has also been optimized turning lighter and with new cinematics and steering gear ratio, also rightsized. The front track is now 14 mm wider. 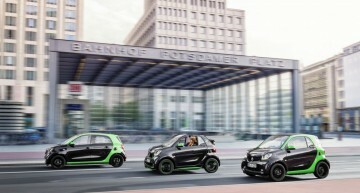 The semi rigid rear axle was developed having in mind the future Plug-In Hybrid version because it is 8 kg lighter and more compact, creating space for the 13.7 kWh batteries mounted under the boot floor. 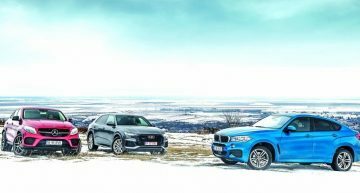 All three launch variants were available for the test: the two gasoline-powered ones – the A 200 with a 1.33-liter turbo engine and the A 250 with the reworked 2.0-liter turbo engine, and the 180 d diesel, all of them featuring the dual-clutch 7-speed automatic transmission. Under the hood of the A 200, the engine developed together with Renault operates (code name M282), that, with a displacement of only 1.33 liters, churns out 163 HP and a maximum torque of 250 Nm. 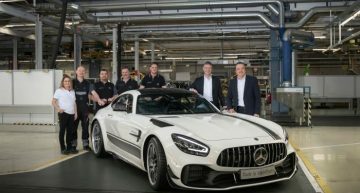 It is coupled to a dual-clutch 7-speed automatic transmission manufactured by Getrag, which is slightly more compact and which sports electro-mechanical actuation. The engine features direct injection with the injectors being located in a central position in the combustion chamber for an optimized combustion process, a narrower Delta cylinder head in the upper area, having reduced weight, a particle filter, the Nanoslide technology on the cylinder surface for reducing friction and additionally from the Renault variant, it features a cylinder deactivation system for cylinders 2 and 3 in partial loads between 1,250 and 3,800 rpm. 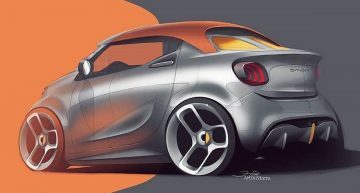 A 250 gets a 100% 2.0 liter Mercedes engine (M260) with 224 HP (+14 HP) and a maximum torque of 350 Nm, thus being an evolution of the former M270. It also benefits from the direct injection with the injectors located in a central position in the combustion chamber, a particle filter, a slightly conical cylinder bore in the lower area and a Camtronic variable distribution system. 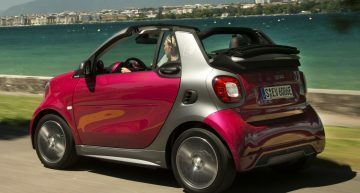 It is also coupled to a Mercedes-originated dual clutch 7-speed automatic transmission with electro-hydraulic actuation. The Renault-sourced 1.5 liter diesel engine works in the A 180 d. The unit has been significantly altered by Mercedes, now featuring 6 extra horsepower, a new cylinder head, a water-cooled intercooler, a SCR filter with AdBlue and a new turbine with variable geometry, with a built-in exhaust piping. The diesel can also be coupled to the dual-clutch Getrag transmission. 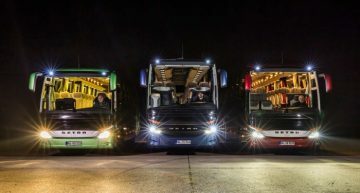 All the three engines at the launch comply with the strictest emission norms, Euro 6d. 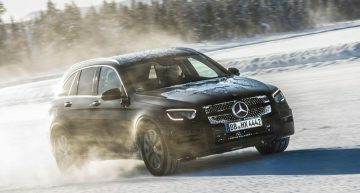 The engine range will be completed in Autumn 2018 with the new 2 liter diesel from the E-Class which will deliver 150 HP in A 200 d and 190 HP in A 220 d, both available as option with 4Matic four wheel drive. As an alternative to the diesel, Mercedes will offer the Plug-In Hybrid version A 220e with 13,7 kWh-Batterie and around 70 km electric range. The top class engines will come from AMG also in autumn 2018 with the 2 liter turbo, around 300 HP and 48V network in AMG A 35. 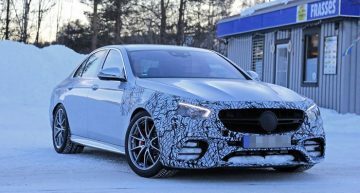 Next year, will come the base petrol engine with 1.33 liter engine and 115 HP and the top AMG version AMG A45 4Matic with 2 liter turbo, 408 HP and 48V network. And now let’s go. The first variant that I got into contact with, was the A 200 AMG Line. 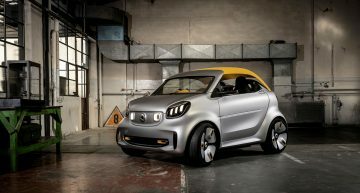 The 1.33-liter turbo engine that replaced the former Mercedes-sourced 1.6-liter unit has 7 extra horsepower and, on paper, it displays a very good performance: 0-100 km/h in 8.2 seconds and a top speed of 225 km/h. But the Getrag automatic transmission features a software that is a bit odd. Even in the Comfort mode, it holds the current gear for too long and, when approaching crossroads, it downshifts way too fast, which leads to an additional engine revving. Remarkable for this engine is the efficiency. Along the test route, quite winding and including passing through small towns, the fuel consumption went to 7.1/100 km, quite a good figure for a 163-horsepower gasoline engine. The cylinder deactivation system surely has its positive part for this fuel consumption. gearbox, which is very intuitive, fast and precise when shifting. Besides, the 2.0-liter turbo engine features a better torque trace in the mid-engine speed and pushes with a dignified force. On bends, both the A 200 and the A 250 provide very good stability and roadholding. They understeer a bit and the progressive and linear steering provide a good feedback. 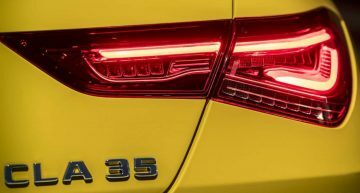 The reel is reduced, yet, with the 19-inch wheels and the 15-mm lowered suspension of the AMG Line, even in the Comfort mode of the adaptive suspension, the bumps damping is a bit brutal. Compared to the former model, the new A-Class is more sensitive and silent. The Mercedes engineers told us that the noise level has been reduced by a 3-dBA average and the articulation index (the one that shows the noise type measure and how well a conversation can be heard inside the car) has been tweaked by 12%. Also, the arrodynamics is much better. 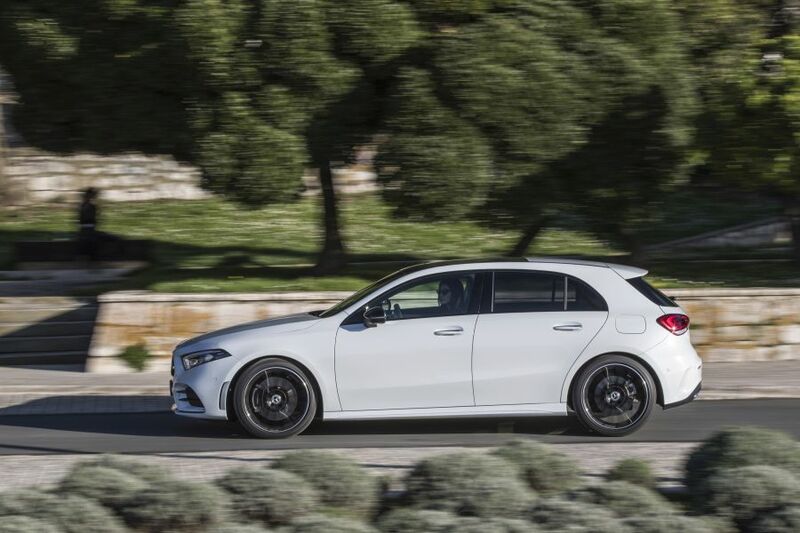 With a Cx of 0.25, the A-Class is the most aerodynamic car in its class. 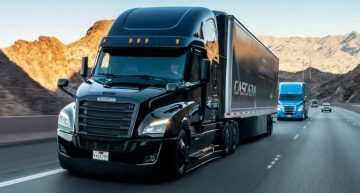 Mercedes consider that optimization of aerodynamic is a more simple and cheap way to reduce the fuel consumption than reducing the weight. With an interior space and boot volume obviously progressing, a way better visibility and a simply fabulous interior with a revolutionary ergonomics, state-of-the-art assistance systems and a magnetizing design, the new A-Class shall be a hard shell in the premium compact segment. The gasoline engines are refined and the 1.33-liter unit is very economic for its class. 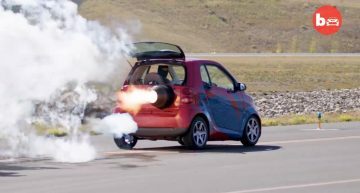 FIRST DRIVE smart DCT Turbo. How good is the new dual-clutch?